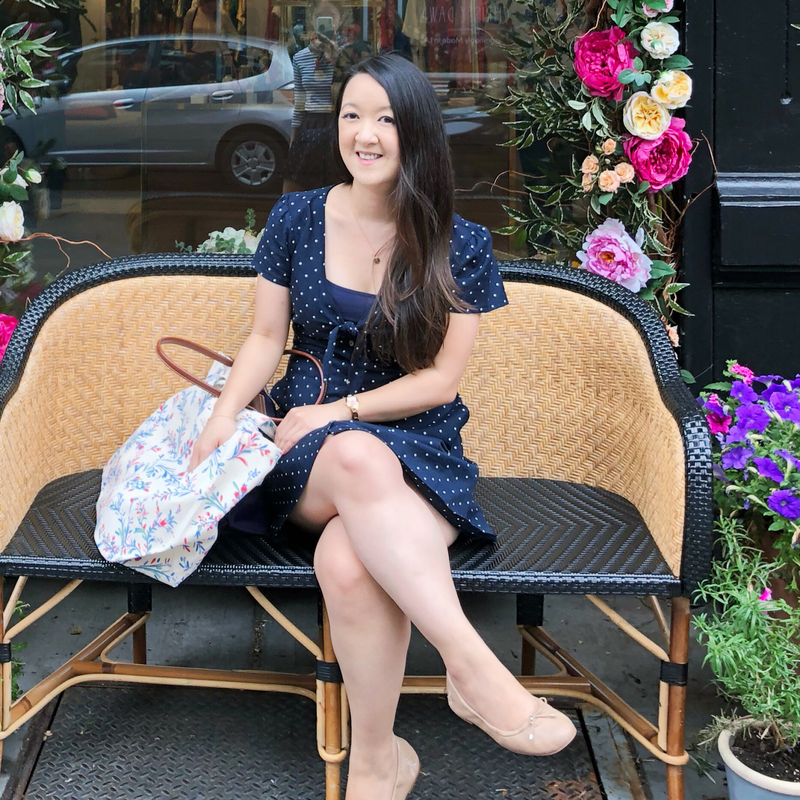 BookBags (23): What's in Lauren's Bag? 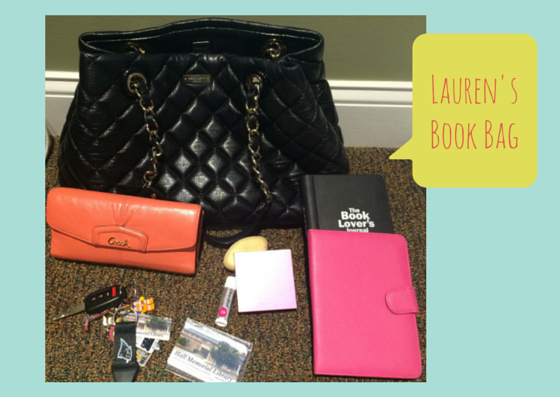 Today, we're getting a peek into Lauren's (from Bookmark Lit) bag! I usually carry around a LOT of things. Not pictured here are the many receipts, Kohl's Cash papers, and other miscellaneous things that are still on the bottom of my bog. I've always had the hugest purses that all of my friends make fun of me for... but they're also the ones begging me to hold stuff for them when we go out! I make sure to always have my book or Kindle with me because you never know when you'll need it. I wish I had a paperback in here to go along with my purse, but my Kindle is usually what you'll find. Kate Spade Gold Coast Maryanne: This was my gift to myself when I started working at my current job. I graduated college, started working at my first job, and thought I deserved a pretty purse as a reward. I used to be addicted to buying purses and changing them out with my outfits, but that all stopped once I got this beauty! I've been using this purse for a year now and it's still in great shape. It cold hold everything I need with its many pockets, pouches, and size. I love, love, love this purse. Kindle Paperwhite: My boyfriend upgraded my Kindle last Christmas because I was sick of having to turn on the bedroom light to read before bed. The number one thing I love about my Kindle is the backlight! So helpful. Of course I have pink case on it because it's my favorite color. The reason this is currently in my purse is because I'm in the process of catching up on my eARCs that are due towards the beginning of the year. Coach Leather Ashley Checkbook Wallet: I like to have pops of different colors inside my purse if my purse is a plain color (which it usually is), hence the pink Kindle and orange wallet! I used to be obsessed with matching a little too much and would make sure my wallet perfectly matched my purse. I think it's a little more fun to pull out a unique colored wallet instead. I got this one at the Coach outlet and really love that it holds my checkbook, many debit/credit cards, and has a big section for coins. Chapstick: This is funny because I actually don't use Chapstick. I like to keep one in my purse in case my boyfriend needs it when we're out. It's one of those things that my friends are grateful that I carry around! Mally Beauty Face Defender: The pink box that you see is basically my savoir on a daily basis. This thing is perfect for people with oily skin that need to touch up during the day. You just blot the sponge on the gel stuff and then blot it on your face, right over your makeup. All of the oil magically disappears! I always keep this guy in my purse. The Book Lover's Journal: I keep this with me too to take notes on whatever books I'm reading. I've been trying to get better about taking notes because I have the WORST memory once I finish a book. It definitely adds a bit of extra weight to my purse, but it's worth it. I love the format of the pages and all of the places you can fill in information; it makes it so much easier to write reviews. Library card: I always keep this in my purse because you never know when you can stop by the library! I also have a little key fob one on my keys, but I like using the real card too. My old library card from my old town expired back when I was in college, so I went and got a new card in the new town I live in a few months ago. It's been great to check out and request books, so I don't have to spend too much money. Keys: Living where I do means zero public transportation options and I drive my car everywhere. I traded in my 1999 Honda Civic for a 2014 Civic back in May and I absolutely love it. Aside from my car, office, apartment, mailbox, and parents' house keys, I have a few different keychains. I have the Carolina Panthers one that attaches to a lanyard so I can represent my football team wherever I go; a Lego minifigure one because my boyfriend and I collect Legos; an "L" one for my name; one half of a best friends keychain set - mine has Finn from Adventure Time and my best friend has Jake; and some other store key fobs. 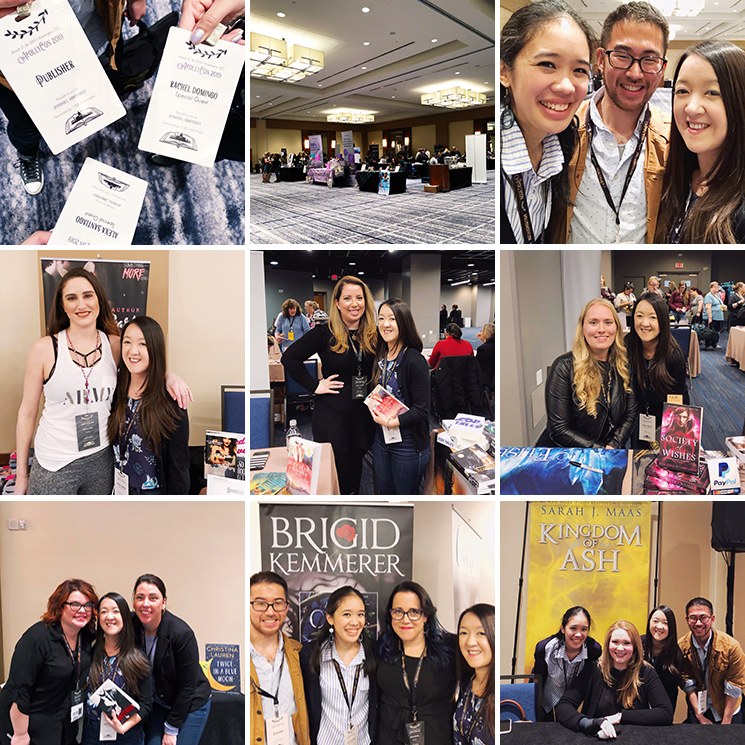 That's it for my big ol' purse full of bookish things! Thanks for having me, Rachel! This was fun. That Book Lover's notebook is priceless. I used mine one year, and have had the worst trouble keeping up with notes since I never purchased another one. They should make a version with inserts! I've been meaning to get The Book Lover's Journal for ages but I haven't gotten around to it yet! I love the colors of your Kindle case and wallet, Lauren! They're so bright and fun, and I definitely feel you on wanting to have that bit of color in your life :) Also, a book lover's journal sounds awesome! I want to start taking notes on my reads again (though I haven't in years), just so I can be a little more well-informed when I write reviews for the blog. So fun to see what's in your bag!